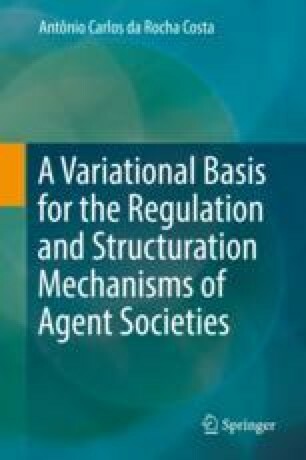 Structuration mechanisms for core operatory structures of agent societies allow core operatory structures to be constructed by their own social actors, according to structuration goals that they themselves specify, and possibly in partnership with social actors that do not belong to those core operatory structures. A non-empty set of social actors should exist, before the structuration of a core operatory structure begins. They are taken, from the start, to belong to that core operatory structure. We call them the founders of the core operatory structure. We consider here processes of structuration and structuration mechanisms for the whole range of operatory levels of a core operatory structure, namely, micro-, meso-, and macro-organizational levels, and also for the core operatory structure as a whole.